On Feb. 22, 2019, attorneys participated live and via webcast in the Section’s annual CLE (co-sponsored with the Government & Public Sector Section). The program, entitled “In Tune or Off Key – Law, Government, Constitutional Rights and Responsibilities,” featured a number of presentations related to constitutional and other public sector litigation. 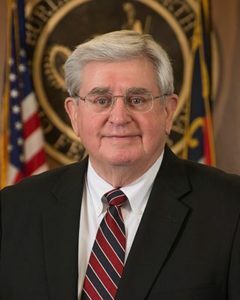 United States District Judge John A. Gibney, Jr., of the Eastern District of Virginia, provided a “view from the bench” on Section 1983 litigation. Other presentations focused on injunctive relief in public-protest litigation and the constitutional implications of cost- and fee-assessments in litigation. 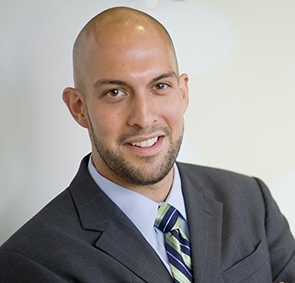 The program also featured a presentation on the ethical implications of data privacy for lawyers and a panel discussion of the social-justice impacts of recurring flooding and other environmental issues in North Carolina. If you weren’t able to join us for the live CLE, you can still catch it online via video replay here. Finally, whether you were able to make the CLE or not, please mark two more dates on your calendar: First, the Section is planning a “Lunch and Learn” for April 26, 2019. Second, the Section will host a social event at Whiskey Kitchen on May 22, 2019, from 5:00 to 6:30. We hope to see you! Section’s John McNeill Smith Jr. Award Honors Henry M. “Mickey” Michaux Jr.
Henry M. “Mickey” Michaux Jr. 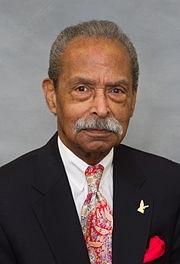 The Constitutional Rights & Responsibilities Section was pleased to honor Henry M. “Mickey” Michaux Jr., a titan of the civil rights movement, 43-year veteran of the North Carolina General Assembly, and champion of justice and equality through the law, at the Section’s annual CLE on Feb. 22, 2019. Eric Doggett presented the Section’s John McNeill Smith Jr. Award to Michaux. Michaux gave a moving acceptance speech, speaking about the challenges that he and his brother personally faced when entering the legal profession and the progress made by the North Carolina Bar Association and the North Carolina State Bar in the years since then. You can view Michaux’s remarks here. Each year, the Section presents the award “to honor a person who has demonstrated extraordinary commitment to the ideals embodied in the Constitution of the United States and the Constitution of North Carolina.” The Section found a more-than-worthy recipient in Michaux.  https://ncbarblog.com/wp-content/uploads/2018/06/Blog-Header-1-1030x530.png 0 0 ConstitutionalRights https://ncbarblog.com/wp-content/uploads/2018/06/Blog-Header-1-1030x530.png ConstitutionalRights2019-03-07 13:51:502019-03-07 14:27:55Section’s John McNeill Smith Jr. Award Honors Henry M. “Mickey” Michaux Jr. Please mark your calendar for Feb. 22, 2019, for “In Tune or Off Key – Law, Government, Constitutional Rights and Responsibilities,” this year’s Section CLE. Together with the Government & Public Sector Section, the Constitutional Rights & Responsibilities Section is sponsoring this program, which is described below. The program will offer six hours of CLE credit, including one hour of ethics credit. Learn more and register here. The Section will also host a social gathering (venue TBD) from 5:15 to 6:30 the evening before. We hope to see you at both events! North Carolina State Conference of NAACP v. McCrory, 831 F.3d 204 (4th Cir. 2016). On July 29, 2016, the 4th Circuit struck down North Carolina’s Voter ID law, finding that the law at issue “target[ed] African Americans with almost surgical precision.” This decision had an immediate impact, as it changed the rules for voting in the 2016 election. While elimination of the photo ID requirement was the most covered and discussed provision struck down by the court, other important provisions were changed by the court’s decision, such as the days allowed for early voting, the use of same-day registration, out-of-precinct provisional voting, and preregistration of 16- and 17-year-olds. To fully understand the gravity of this case, one must look first to the Voting Rights Act of 1965 that was passed to prohibit racial discrimination at the ballot box. Furthermore, it is important to understand the effect of the Supreme Court’s decision in the Shelby County case, and how that case has since changed the political landscape for election legislation across the country. As is frequently now the case, North Carolina’s political climate is a microcosm of American politics, where partisanship plays an ever-increasing role. Republican-controlled legislatures across the country have made many recent attempts to change voting and election procedures in the wake of Shelby County, and North Carolina led the march. The 4th Circuit’s decision in this case illustrates how courts may interpret voting rights cases post-Shelby County, and provides insight that is very valuable for anyone interested in American election law and voting rights. HB2 will be the subject of the Constitutional Rights & Responsibilities Section’s upcoming annual CLE on Thursday, Feb. 9 at the Bar Center in Cary. During the section’s most recent council meeting, Eric Doggett, co-chair of our CLE committee, gave a brief summary and circulated a copy of the CLE program, which will focus on Session Law 2016-3 (House Bill2) Public Facilities Privacy and Security Act. This program will include the following topics: an HB2 overview; HB2 and the Constitution; HB2 and employment law; and panel discussions addressing the interplay between local and state authority and the status of pending court proceedings challenging HB2. This CLE program will help to better understand the details of this law and its potential implications. This program will be presented on please mark your calendars and plan to attend to earn CLE credit and learn about this timely statewide topic. The council meeting on Nov. 17, 2016, at the Bar Center also included a great beginning with remarks from four students from The Cary Academy: Grace Jin, a senior; three juniors, Danielle Carr, Max Nunez and Margaret Velto; and their history and government teacher Maret Jones. It continued with an explanation from them as to how they related their classroom study of the U.S. Constitution to current events. As you might imagine, the discussion that ensued was very informative and entertaining. One particular classroom project conducted by these students was the convening of a mock constitutional convention in which they went over the Constitution line by line in an effort to determine if and how it could be amended to better address our changing times. Not surprisingly, these students concluded that the Constitution was very well written, and that underscores how it has withstood the test of time. Also, when asked by the council, the students responded that they would make very few changes to this venerable document. On behalf of the council I presented each student a certificate of appreciation, a reprint of the U.S. Constitution and a copy of the book “Constitutional Law for Kids” by Ursula Furi-Perry, published by the American Bar Association and provided by the NCBA’s Law Related Education Department. 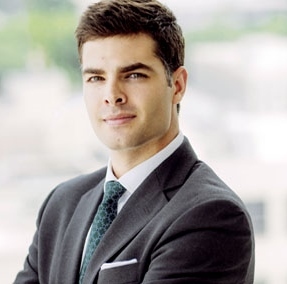 Committee updates included Colin Shive’s report for our blog, The Constitutionalist. He informed the council that the Sept. 2, 2016 blog post contained an article entitled, “Economic Liberty Challenges In the 21st Century” by Drew Erteschik and J. M. Durnovich. Blog Chair Colin Shive further reported that there would be forthcoming articles for our blog from students from Elon University School of Law. Due to a conflict with two CLE programs, the Constitutional Rights and Responsibilities Section is moving the date of its Annual Meeting and CLE from Jan. 13, 2017 to Feb. 9, 2017. The CLE will focus on HB2 and the legal challenge to that bill, including its impact on employment law related issues as well as an analysis and discussion of the litigation resulting from the bill. We apologize for any inconvenience with regard to the change of date and hope to see you on Feb. 9, 2017. Most of us left law school with the understanding that so-called “economic liberty” challenges to state regulations will generally fail under rational basis review. That area of the law, however, has changed dramatically. The first part offers a brief refresher on the history of economic liberty challenges in the 20th century. The second part describes a flurry of recent cases involving successful economic liberty challenges on substantive due process grounds. The third part examines some possible legal and policy explanations for the modern trend. In 1905, the U.S. Supreme Court decided Lochner v. New York, a case that considered a state law capping the maximum hours for bakery employees. The Court struck down the law on the grounds that it violated the “right of an individual to be free in his person and in his power to contract in relation to his own labor.” Over the next thirty years—the “Lochner era”—the Supreme Court struck down a number of state laws that infringed upon economic liberty rights. The Lochner era, however, was short-lived. Headlined by the Court’s decision in U.S. v. Carolene Products, the Great Depression ushered in the post-Lochner era—a time when the Court established a presumption of constitutionality for state regulations. Most scholars attribute the shift to non-jurisprudential reasons: If President Roosevelt’s New Deal was to survive constitutional challenges, the Court needed to dilute Lochner’s potency.